As a modern recycling company, Huiskes is engaged in the collection and recycling of ferrous and non-ferrous metals. We collect all scrap metals. Our collection sites meet all applicable environmental requirements for the scrap sector, including liquid-proof floors, protection against visual nuisance, oil and grease separators, separation of rainwater and measurement of radioactivity. We set great store by sustainability. Thanks to international cooperation and an optimal environmental management system, we distinguish ourselves in the industry by recycling the various metals that can be traced back to processing by a smelter. We embrace the cradle to cradle concept. This is based on the view that a manufacturer no longer has any waste, but a basic quantity of raw materials in the form of waste materials. We transform these raw materials into a product that the manufacturer can process into a new product. We collect scrap and scrap iron in a sustainable way. We are at the forefront of the industry, with a comprehensive administrative system in which every kilogram of ferrous metal is documented and accounted for.  Huiskes also provides its suppliers with all necessary information, while issuing periodic reports in accordance with all legal requirements. Huiskes goes one step further in the collection of material. To map out the benefits of recycling, we use a unique calculation model that shows the savings in CO² emissions per individual customer. This offers every supplier clear insight into their contribution to improving the environment. Huiskes trades and processes non-ferrous metals such as: Aluminium, Bronze, Copper, Lead, Nickel, Brass, Stainless Steel, Tin and Zinc. We focus on the processing of non-homogeneous flows of the various residual products. In the case of waste materials containing copper, we offer the option of either mechanical or manual dismantling. This implies that various elements can be used as the raw materials for the same or a different product. Another option is that we use a recycled raw material in an alloy and have it processed into a semi-finished product. The destruction of electronics and catalytic converters releases precious metals, such as gold, platinum, palladium, rhodium and silver. The recycling of these products calls for specific knowledge and certified dismantling techniques. Huiskes possesses all that is required in this regard. We are WEEELABEX certified for such operations. Huiskes trades and processes special metals, such as: Aluminium, Antimony, APR (basic), Bismuth, Cadmium 99.95, CuNiFer, Gallium, Germanium, Hastelloy, Carbide, Indium, Cobalt, Copper, Lead, Magnesium, Milberry Copper, Molybdenum, Nickel, Niobium, Rhenium, Copper, Stainless Steel Selenium, Titanium, Vanadium, Widia, Tungsten (tungsten carbide), Zinc. We also trade and process high quality minor metals, such as: AlNiCo, Ferrous Alloys, Gallium, Tool Steels, Hafnium, Tungsten carbide, Indium, Cobalt, Molybdenum, Niobium, Tantalum, Titanium, Vanadium, Zirconium. Companies from all over the world have come to rely on us for the recycling of magnesium from industrial waste. In fact, our sister company, Allied Magnesium, is the market leader in the European Union. Huiskes has been the place for the recycling of your (base) metals since 1936. Metal waste is a valuable secondary raw material. We take great care in the processing of scrap metal. Only in this way can we return the metals to the closed cycle, via the smelting industry. Our employees sort and disassemble complex materials by hand. These include not only electric motors and transformers, but also composite materials such as telecommunication cables. Our manual processing creates a pure stream of metals, such as copper, aluminium and iron, which are suitable for immediate smelting by a smelter. Given that we perform our own processing and manual sorting, we can offer manufacturers a practical solution for returning their products to the cycle. And also a demonstrable saving in terms of CO² emissions. Do you want to have metal objects disassembled as part of a demolition project?  If so, then Huiskes is the partner you have been looking for. We process the steel structures of buildings, factory configurations from the food industry, but also complex composite materials. You can also rely on us for the recycling, purchasing and processing of all kinds of transformers. We arrange and take care of the entire process of recycling and waste disposal. The demolition of your transformer is in safe hands with Huiskes, as we are a fully certified recycling company.